Cost: Members are free. Non-members $20. If you’re interested in membership benefits, visit our website at http://aeenevada.org/join/. RSVP: Reserve your spot via our website, limited to the first 50 people. Members will get first spots up to 10-days before the event, after that non-members can register to join/pay. Please mark the event on your calendar! If max registration is met, you will be added to a waitlist in case spots become available. To secure a spot, please consider an annual membership. 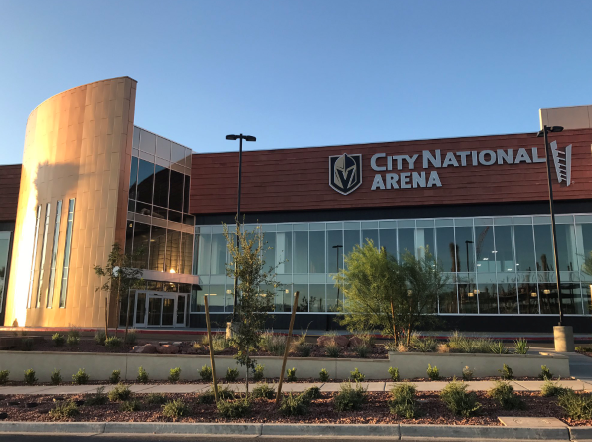 Join us for a behind the scenes look at the City National Arena, the NHL hockey practice facility of the Las Vegas Golden Knights. The event will include lunch from Mackenzie River, a presentation from the Arena's staff and designer, as well as an on-site tour of building operations and equipment. One of the main (stunning) features of the facility are the two NHL sized rinks. The creation and maintenance of the ice and how energy is used in the process will be toured and presented on. Other topics of the luncheon and tour include construction, commissioning, lessons learned, and day-to-day operations.